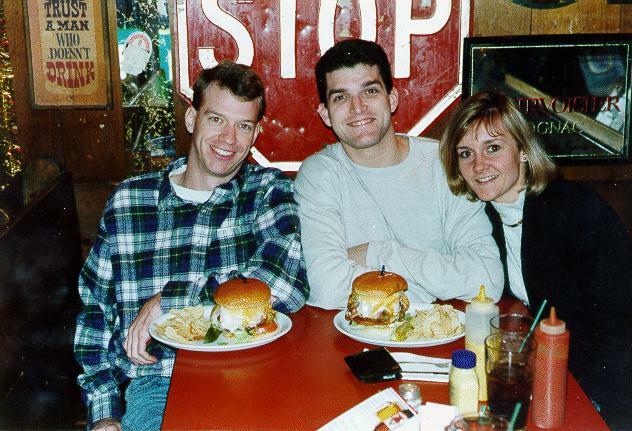 This is me and a couple of high school buddies, John and Melissa, at the Thurman Cafe in Columbus, Ohio, about to partake of the mighty Thurman Burger. It's all about gluttony. If you're ever in Columbus, you really need to go have yourself a Thurman Burger. They flat out rock. The Thurman Cafe is located at 183 Thurman Ave, Columbus, OH. And remember, once you pick it up, don't set it down!